Located in the basement of Morrision Hall (75 St. George Street), the Leonard Comon Room (LCR) features a sprung floor. 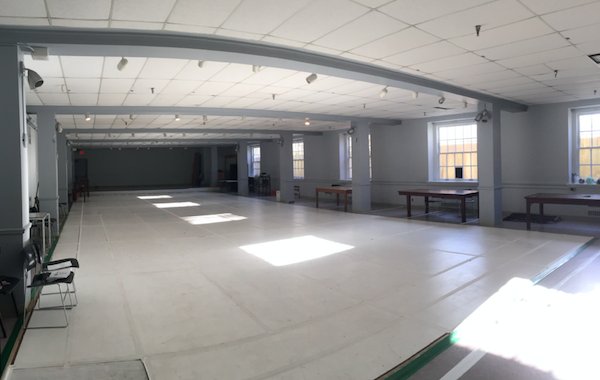 This is an air-conditioned, open space for performing arts rehearsals. Primarily used by the Centre for Drama, Theatre & Performance Studies. Accessiblity: The space is accessible for participants. The men's washroom is not accessible. Available for CDTPS student rehearsal bookings. Available for rent by external groups from mid-April until mid-August. No rentals are available during the school year.